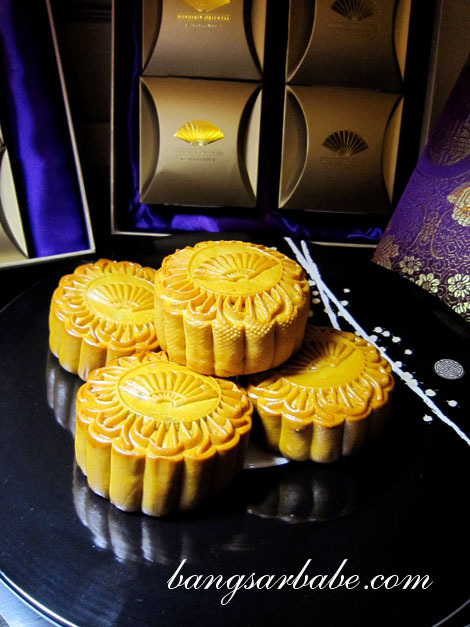 For the mid-autumn festival each year, hotels will come up with their variation of mooncakes and fancy gift boxes fit to become one’s jewelry box. 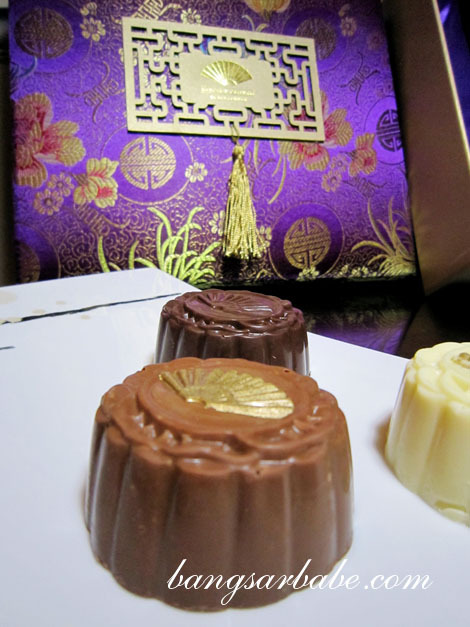 This year, Mandarin Oriental’s mooncake gift box oozes grandeur with hues of gold and royal purple. 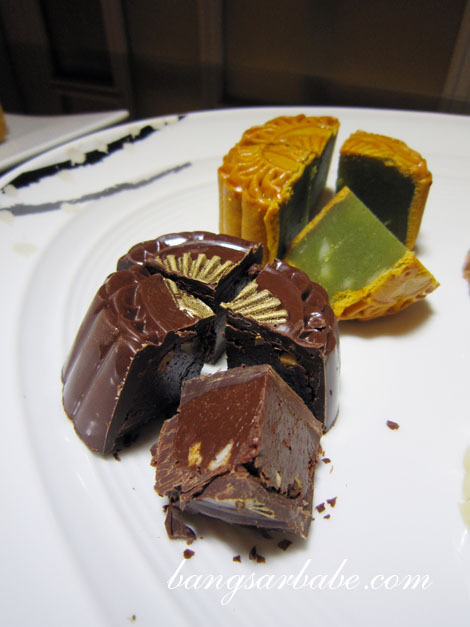 While the packaging was impressive, it was the array of mooncakes on offer that did the talking. 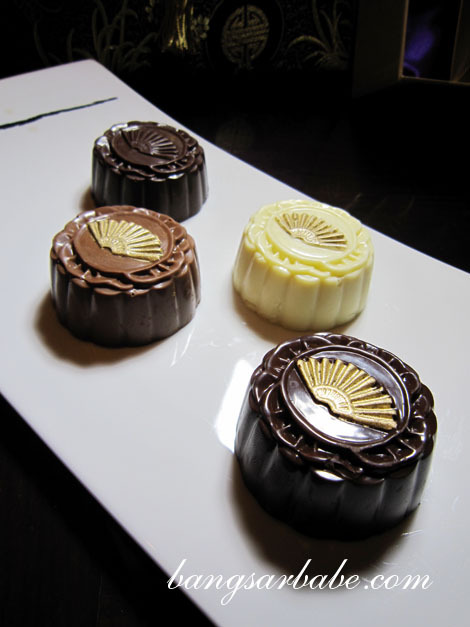 I had the privilege of sampling the mooncakes (large, medium and mini) – tasty and pretty enough to please even the fussiest of diners. The selections that best caught my fancy were the medium variety of dark chocolate with salted caramel ganache and milk chocolate with peanut butter crunch. 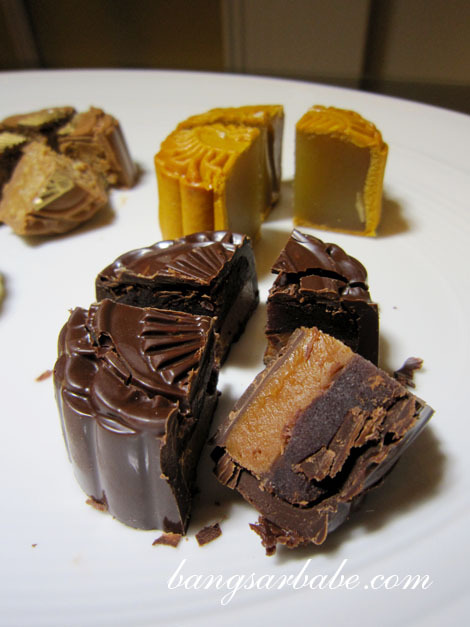 I don’t recall tasting any mooncakes like these before, and likened the peanut butter crunch version to Reese’s Peanut Butter Cup, only more luxurious. The dark chocolate with salted caramel ganache was deeply flavoured with a smooth texture – almost like a dark, illicit romance. 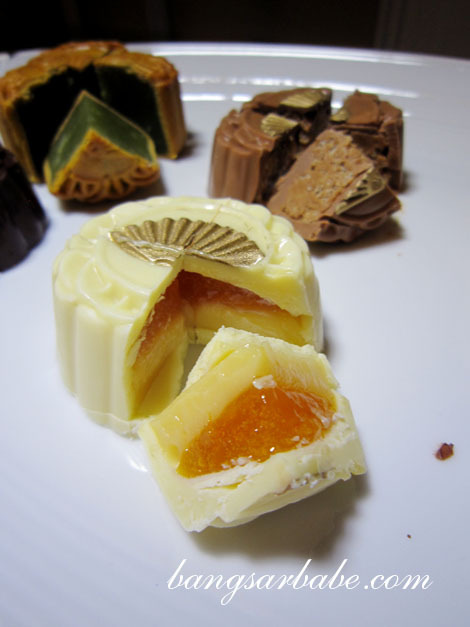 Other variations that were noteworthy were the white chocolate with orange ganache and cream, pandan essence with macadamia nut and dark chocolate with star anise and red bean ganache. 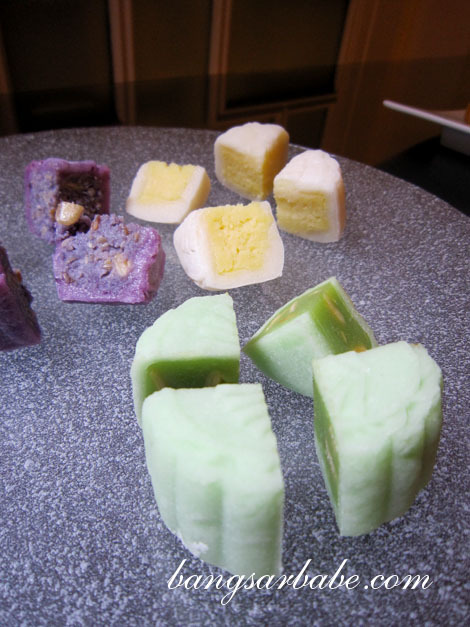 The mini mooncakes comprised the popular snowskin mooncake with durian paste, snowskin mooncake with pandan flavour and the snowskin mooncake with blueberries and grated coconut. 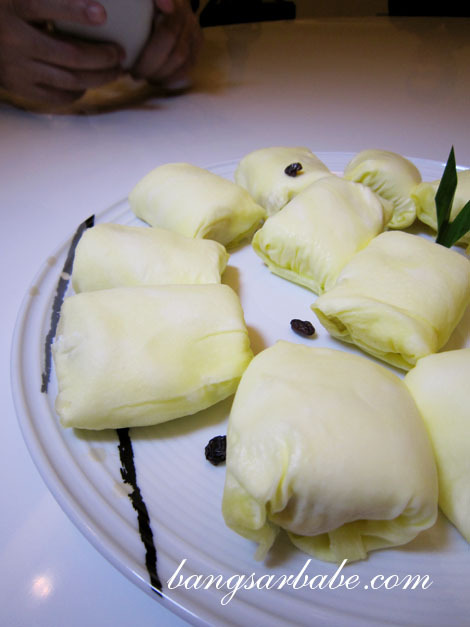 Like Lai Po Heen’s famous durian pancakes, the durian mooncake was delicious and heady from the liberal amount of fresh durian flesh. There’s no masking the smell for it is evident even with the slightest burp. 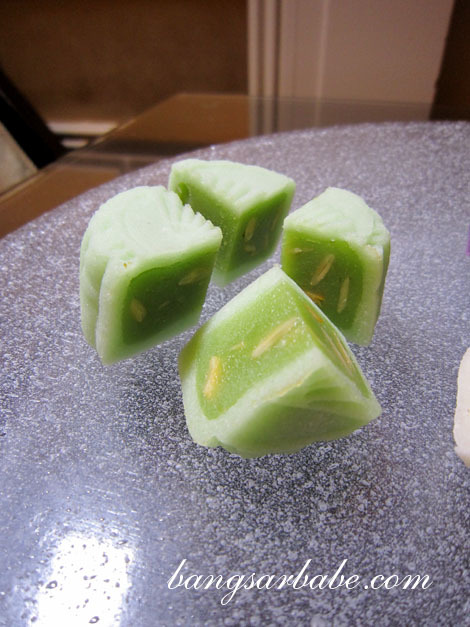 The pandan flavour mooncake was also tasty, but I enjoyed the blueberries and grated coconut version more. Note that the latter is an acquired taste for some. 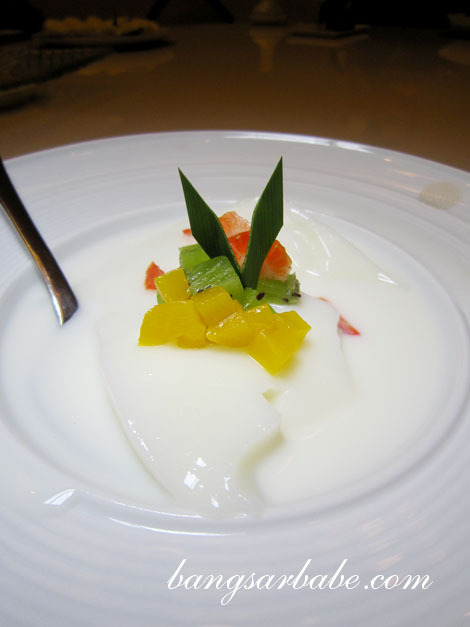 If you like eating desiccated coconut, you’ll probably like this. 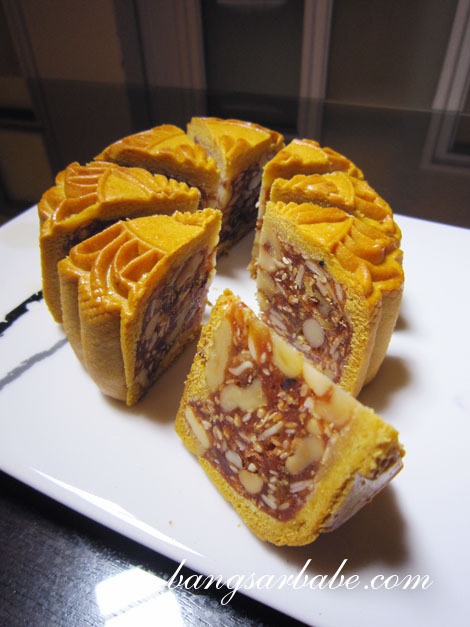 The more traditional mooncakes on offer are the white lotus paste, lotus paste with single yolk, lotus paste with double yolk, red bean and lotus paste with single yolk and diced chicken ham with almond. I’m generally not a fan of nutty mooncakes or chicken flavoured biscuits, but the chicken ham with almond was palatable. My favourite of the lot was the lotus paste with double yolk, because it’s DOUBLE YOLK and the lotus paste was smooth and aromatic. I was also treated to a sumptuous 4-course dinner so I don’t go ballistic and eat all their mooncake supply before sampling the mooncakes. 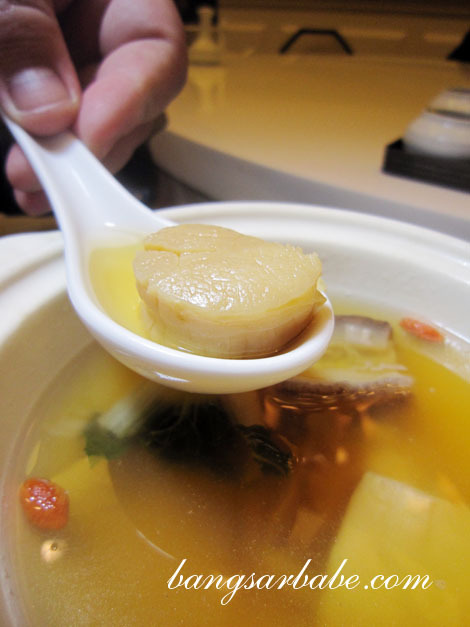 The double-boiled abalone soup with seasonal dried deluxe seafood and baby cabbage tasted as soothing as it sounds. 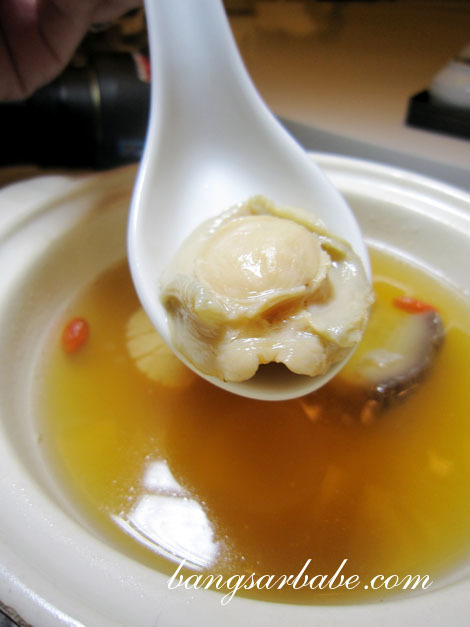 The seafood (namely the scallop and abalone) generously flavoured the broth, and I found the abalone succulent and just slightly chewy. 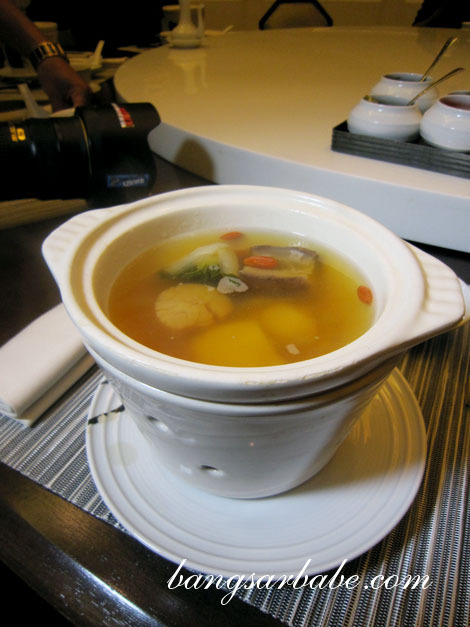 Possible the best double-boiled soup (RM188) I’ve tasted, no offence to my mother, grandmother and mother in-law. 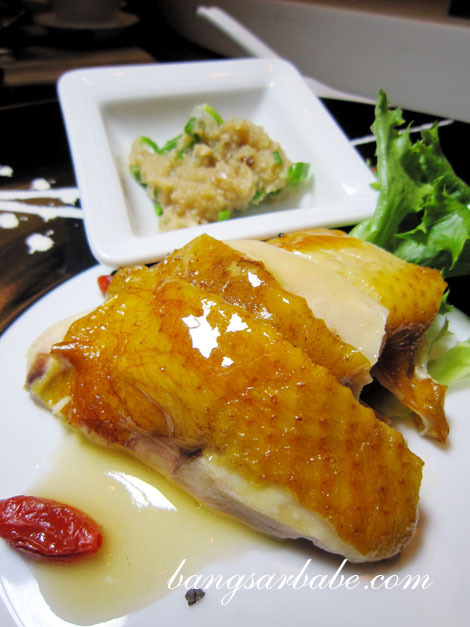 Jasmine tealeaf smoked chicken (RM38) came with a side of ginger and spring onion dip. The dip paste smelt inviting and paired beautifully with the smoky-wood flavour and smooth texture of the chicken thigh. 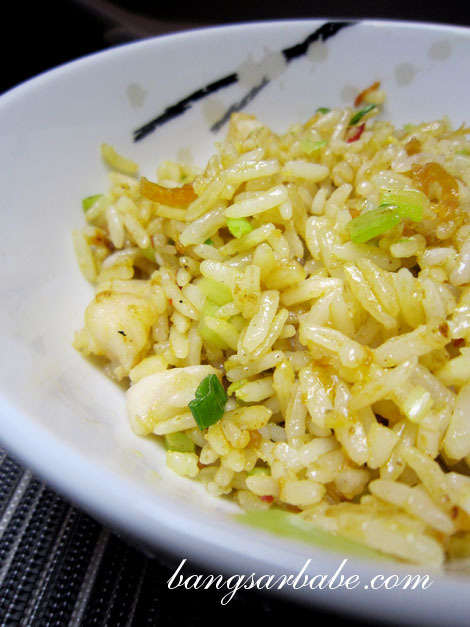 Lai Po Heen’s special seafood fried rice (RM36) was fluffy and thoroughly tossed in the wok, allowing the wok hei and seasoning to permeate the grains. The crispy egg noodles with assorted seafood and vegetables (RM48) had more seafood than noodles. Not that I’m complaining. 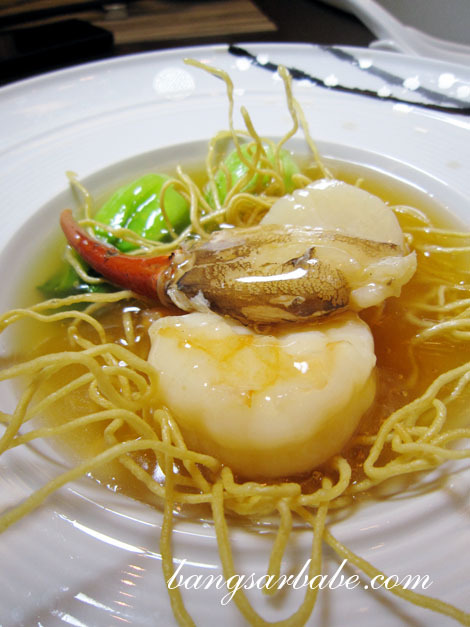 I relished every bite of the crab claw, prawn and scallop – all fresh, succulent and sweet. When you’re dining with a group of bloggers, expect extraordinary things. 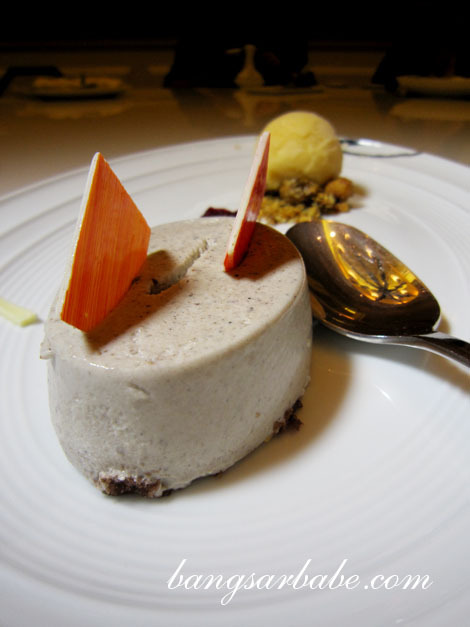 Like ordering everything on the dessert menu to share. All were lovely, but my favourites were the durian pancake (RM38 – for 3 pieces) and Chinese-style banana split (RM22). 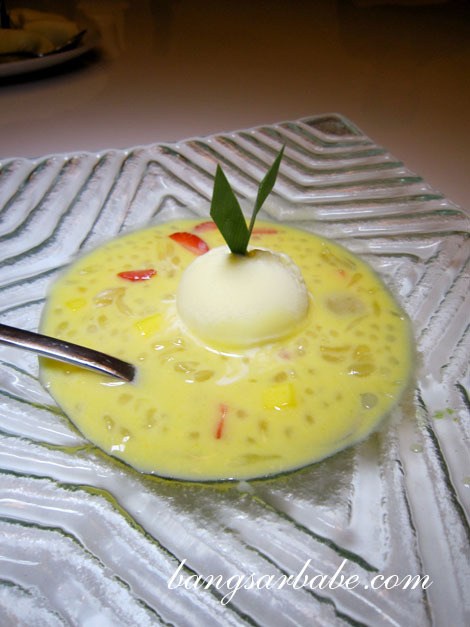 For my description of the durian pancake, you can refer to my video blog here. As for the banana split, it was a simple dessert prepared grandly. 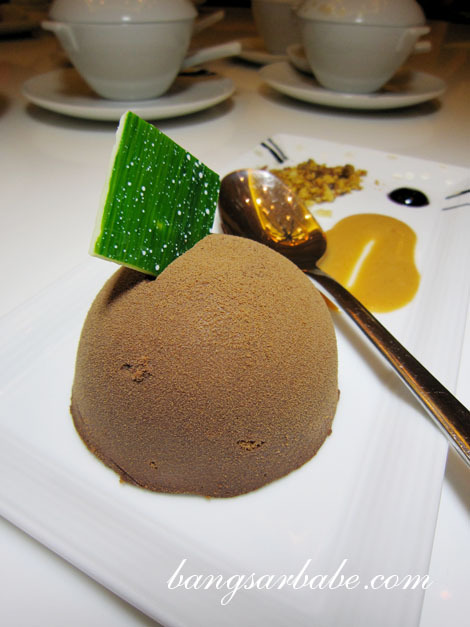 Crunchy fried banana fritters in a pineapple shell and topped with chocolate, black sesame and pandan ice cream. Verdict: Good food and classy ambiance. 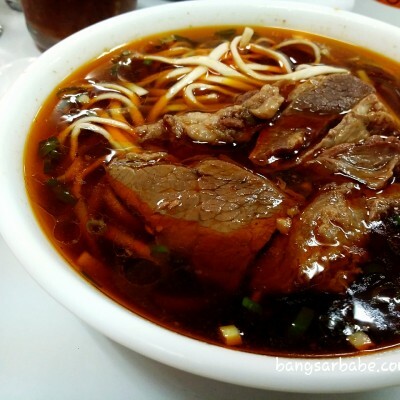 The double-boiled soup…OMG! Omigosh! You guys ate so many desserts! 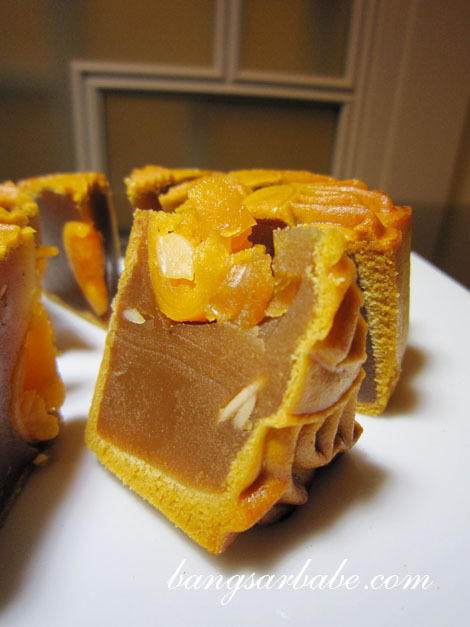 I don’t have much of a sweet tooth, but the traditional mooncake is one of my favs, maybe next week I might pop into the Asian supermarket and buy some. I don’t go there often because it’s an hours drive! 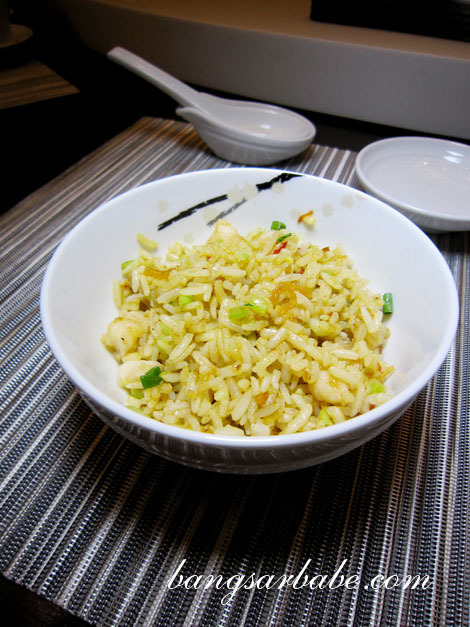 The fried rice looks devine! I say don’t bother with the Asian supermarket. It’s usually not good (bordering stale). And expensive too, if I remember correctly. 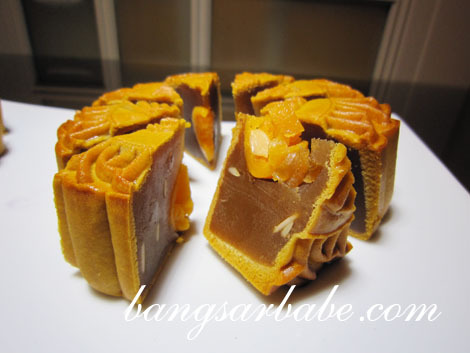 I once paid GBP8 for a piece of mooncake and it didn’t even taste good. Itu Hong Kong mari punya, banyak sedap!Lol…It’s something like €15 for 4 in a decorated embossed tin, which comes with a special bag. Some even are sold for over € 40. If I buy it, I will take some pics and mail to you, if you want to see it. 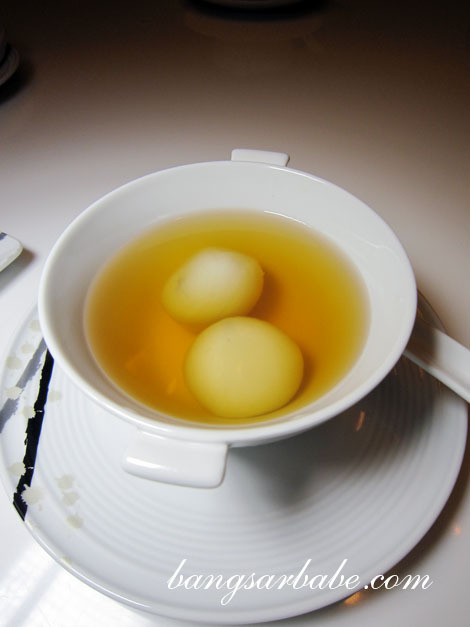 Lai Po heen really knows its soups! 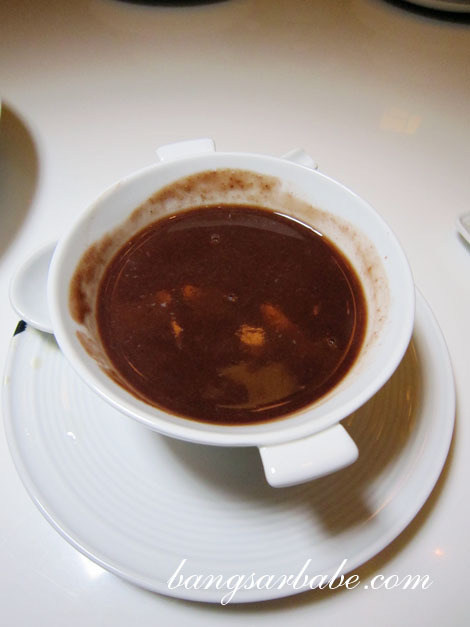 You know how after awhile, a lot of meals blur together … But one of the dishes I’ve always remembered is a not-too-politically-correct soup I had at Lai Po heen in maybe 2004, and it was awesome! 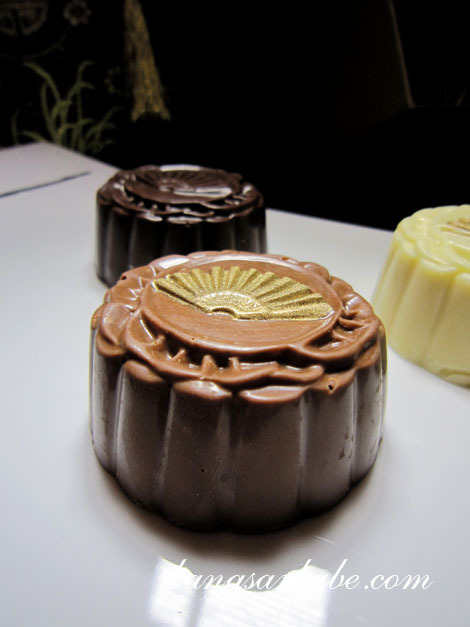 i’ve never tried dark chocolate mooncake…is it available for walk in customer? Expect the unexpected babe! We all always gone to the extra mile of digging the best stuff out from people’s menu. 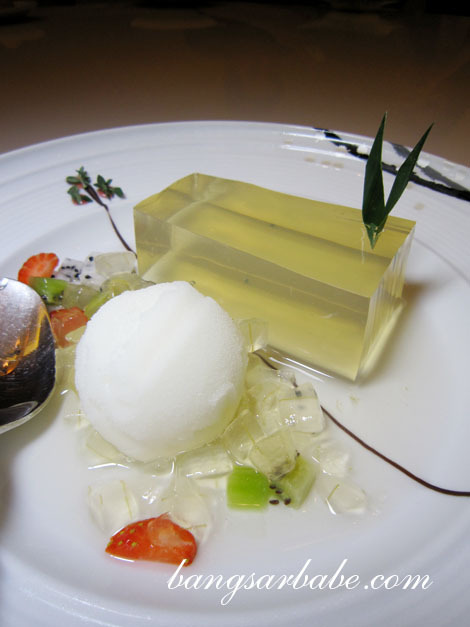 Love those desserts! 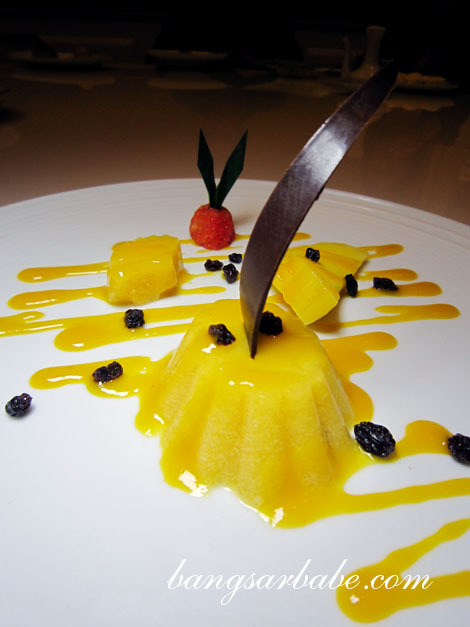 Next time must ask Chef Ricky prepare ahead his signature Kwai Lin Kou. Well…you know me la. I mostly do solo reviews, so that was a shock to my system hahaha!! I just came back from overseas and came accross ur blog. Thought should give this restaurant a try , came out it was pretty dissapointing, the soup has no herbal flavour and it is very salty . 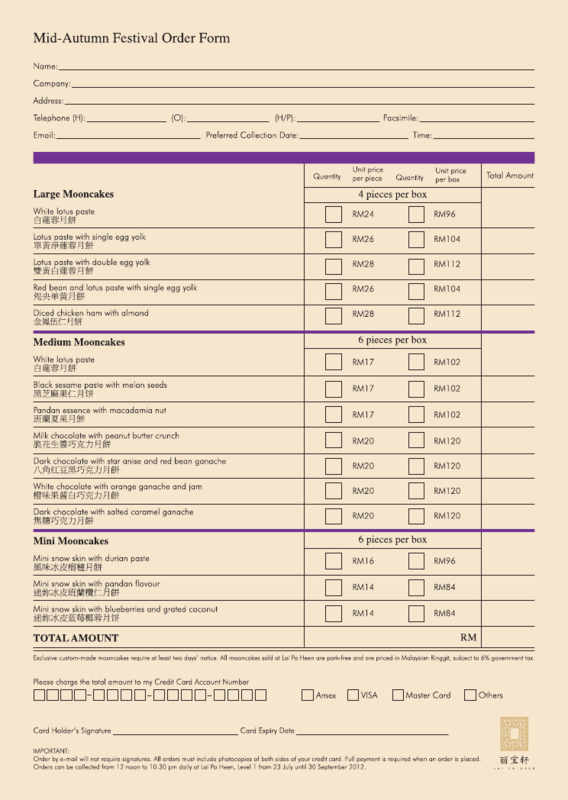 The service is excellent but in terms of food … Gotta improve I guess ! Sorry to hear about your experience. I hope you conveyed this to the restaurant manager. 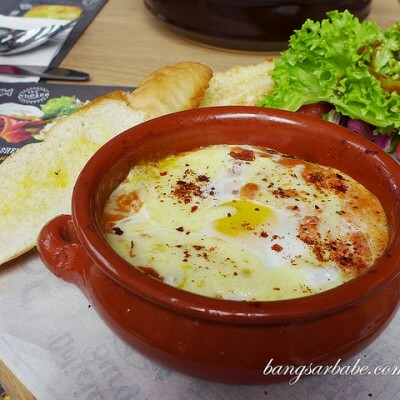 As prices aren’t cheap, good food is to be expected.